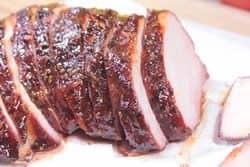 Barbecue and teriyaki is an excellent combination as demonstrated with this smoked pork sirloin roast marinated for several hours in teriyaki sauce and then rubbed with my barbecue seasoning (purchase recipes here) and smoked to perfectly done. My original rub works as an amazing seasoning on this smoked pork sirloin after being marinated for several hours with teriyaki sauce. 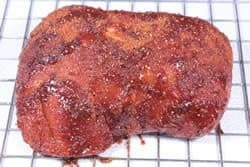 The sweet and spicy aspects of my rub really shines on pork. 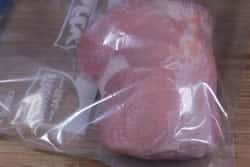 Remove the pork sirloin from it's packaging and give it a good rinse under cold water. 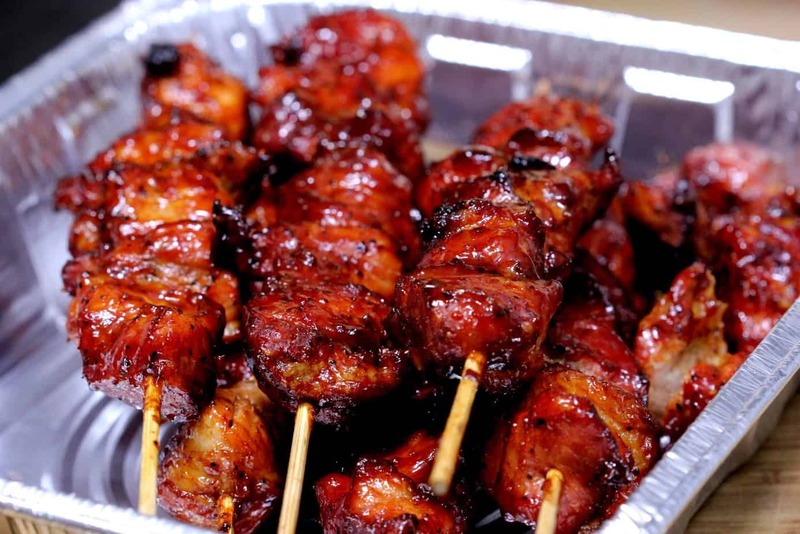 Pour enough teriyaki sauce over the meat to fully coat. 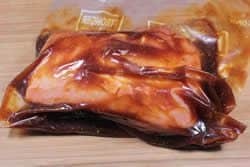 When the marinate time is over, remove the pork sirloin from the bag to season it. 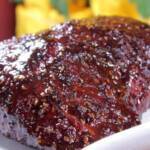 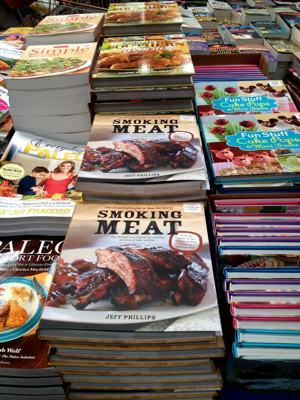 Coat the entire surface of the pork sirloin roast with my original rub (purchase recipes here). 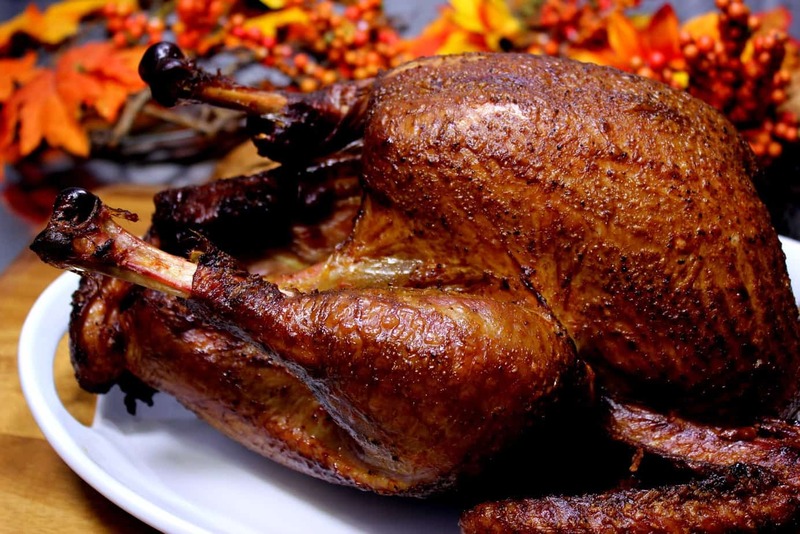 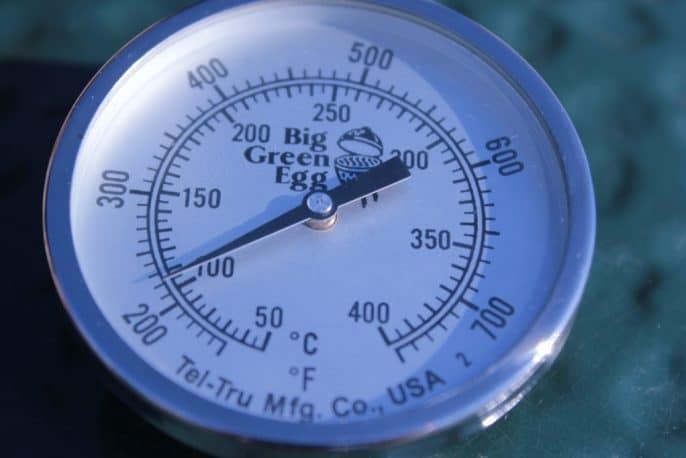 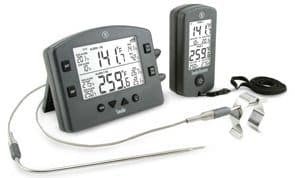 Prepare the smoker for a 2 hour cook at about 225-240°F with enough smoking wood for at least 1 hour. 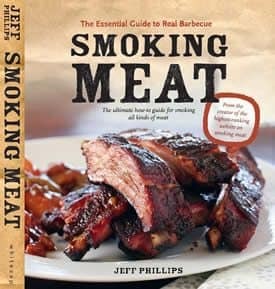 I used Hickory this time but almost any smoking wood will work great. 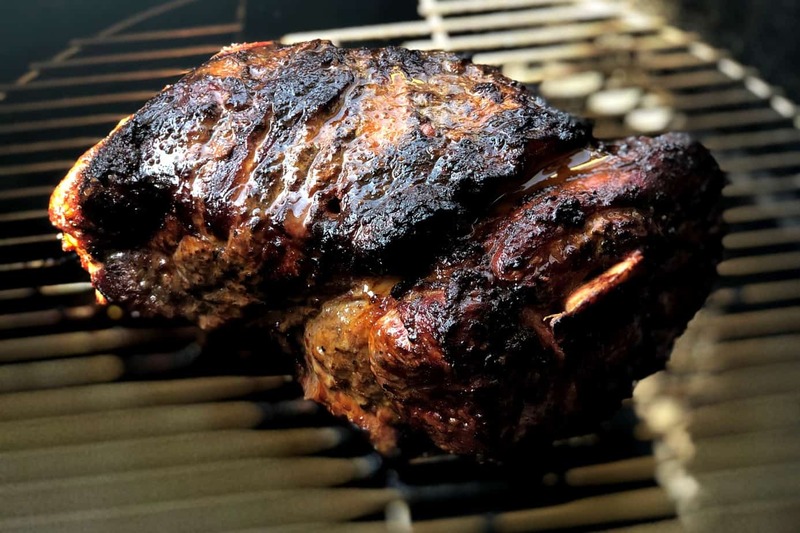 On a charcoal grill, place coals on both side of the grill and place a metal pan of water in the center between the coals. 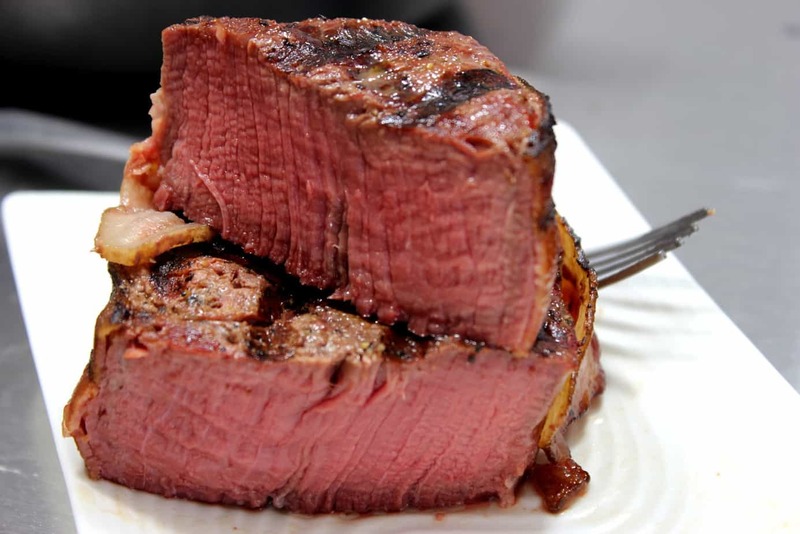 The meat goes directly over the water pan. 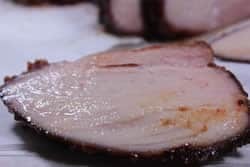 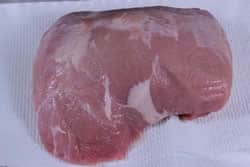 For more teriyaki/bbq flavor, you can mix 2 parts teriyaki sauce with my barbecue sauce (purchase recipes here) to make a uniquely delicious flavored sauce for this smoked pork sirloin. 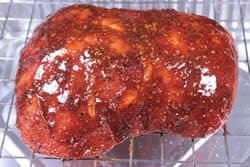 Apply the sauce a couple of times during the last 30 minutes in the smoker. 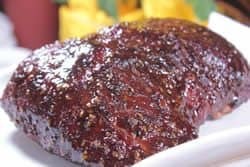 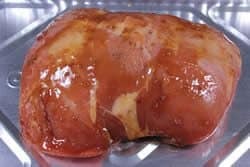 Barbecue and teriyaki is an excellent combination as demonstrated with this smoked pork sirloin roast marinated for several hours in teriyaki sauce and then rubbed with barbecue seasoning and smoked to perfectly done. 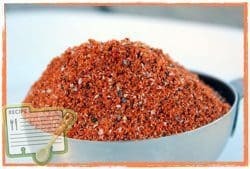 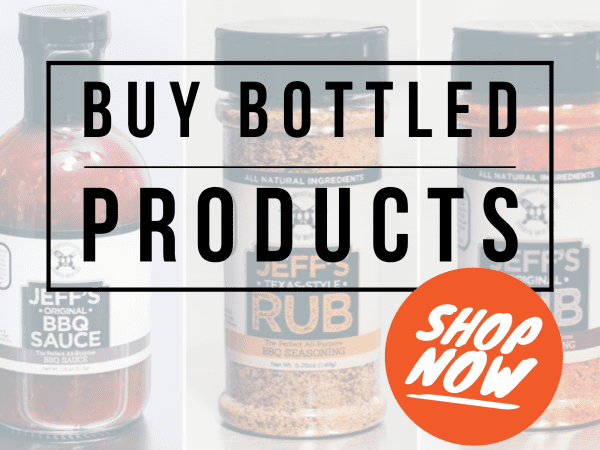 Coat the entire surface of the pork sirloin roast with my original rub. 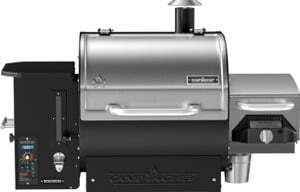 Prepare the smoker for a 2 hour cook at about 225-240°F with enough smoking wood for at least 1 hour. 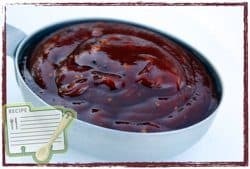 For more teriyaki flavor, you can mix 2 parts teriyaki sauce with my barbecue sauce to make a uniquely delicious flavored sauce for this smoked pork sirloin. 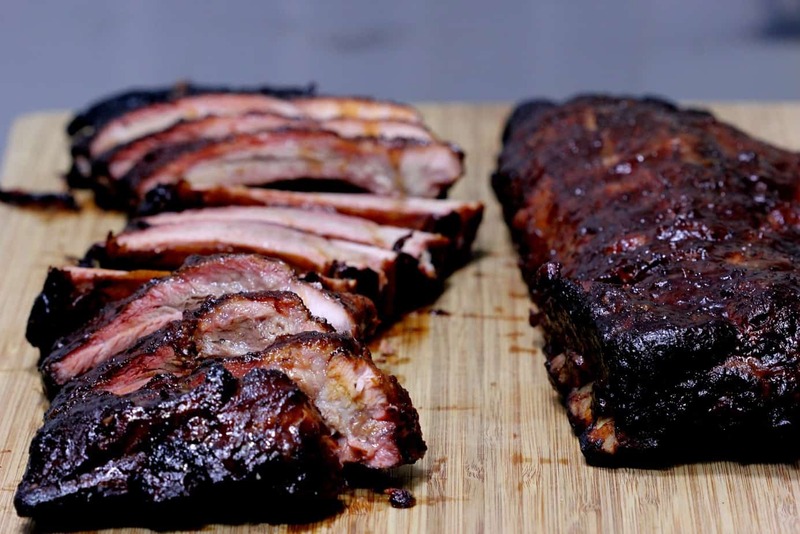 Apply the sauce a couple of times during the last 30 minutes in the smoker.